The winner of this sweepstakes will get to create their very own prize package, delivered in a giant stocking. Even better, we now have TWO ways for you to enter the contest! 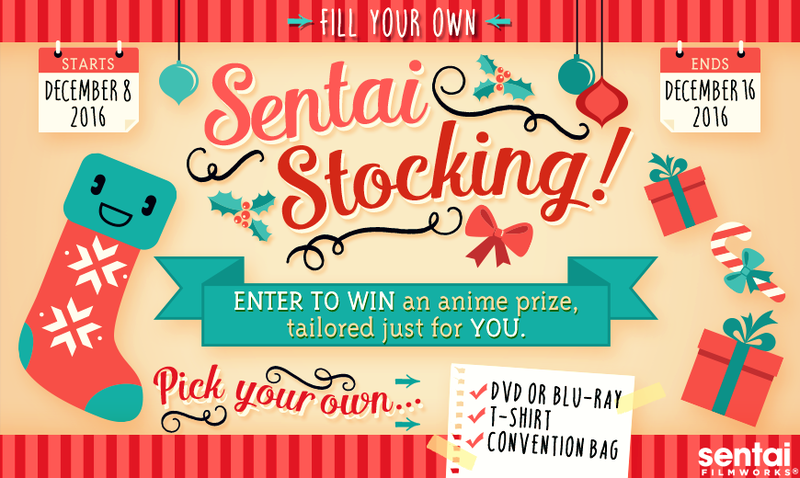 Make a purchase between December 8, 2016 through December 16, 2016 at the Sentai shop, and your email will be automatically entered to win the Sentai Stocking.